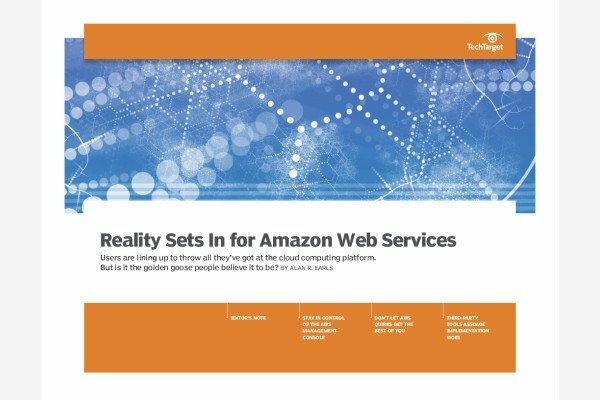 Amazon Web Services provides companies with several database and analytics tools such as Amazon Kinesis, AWS Data Pipeline, Amazon RDS, Amazon DynamoDB and Amazon EMR on Hadoop. Amazon&apos;s database tools can help consumers create value through the use of data analytics for applications like log analysis, Web indexing, and data warehousing. In-flight broadband service provider Gogo has joined other companies with an all-in cloud push toward AWS, while keeping an eye on portability and its long-term options. Cloud giants like AWS have adopted open source databases, causing Confluent, MongoDB and others to guard their assets the best way they know how: licensing. AWS has acquired TSO Logic, which produces analytics that customers can use to plan moves to the cloud. The deal comes with the cloud-market land grab still in its infancy. AWS' DocumentDB managed database service takes aim at the popular MongoDB NoSQL database and stirs up controversy over the rules of engagement for open source software.